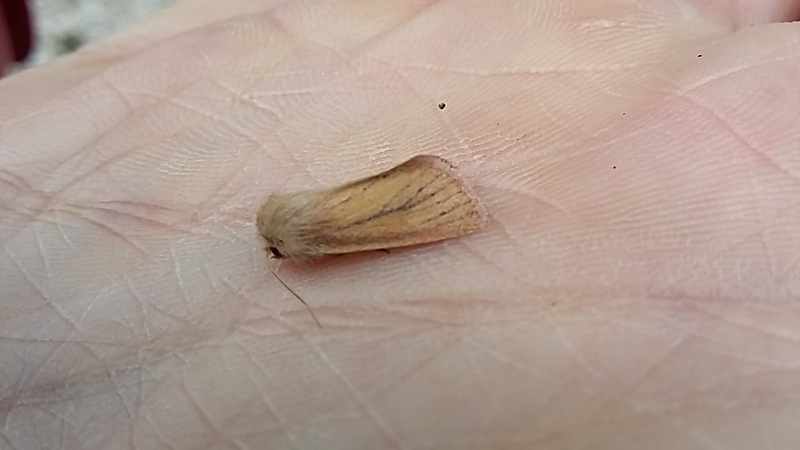 A first for me and perhaps an early record, a small wainscot this morning. Hoping for a bigger catch tonight though! Nice one, Rob. I was going to trap tonight but the clearer skies than was originally forecast may give me an excuse not to trap, as I`m tired out! Keep up the good work.